Prince and Princess of Holland attend anniversary Hofplein Rotterdam. 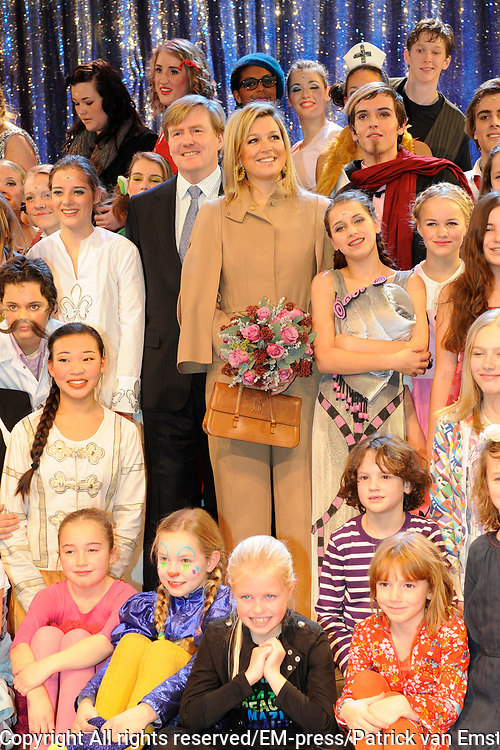 Their Royal Highnesses the Prince of Oranje and Princess Máxima of the Netherlands attended on Sunday December 12 th the anniversary show 'The Birthday of King Louis the One "in the theater of Hofplein Rotterdam. The show is held on the occasion of the celebration of the 25th anniversary.